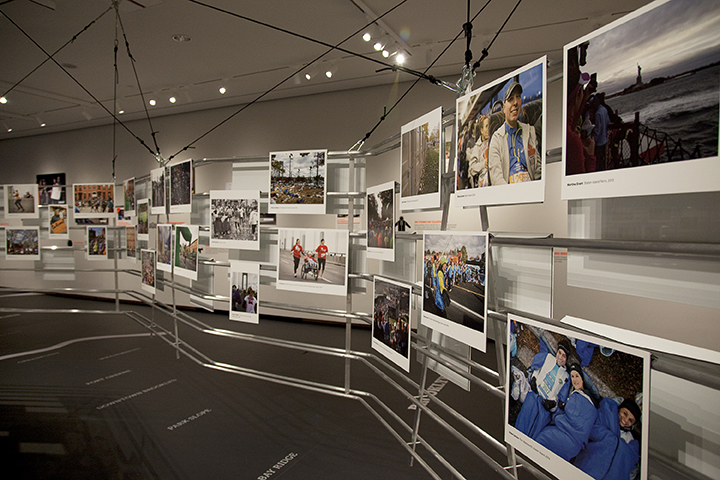 This exhibition featured more than 100 crowd-sourced images plus facts and data that highlighted the unique quality of the world's largest footrace. 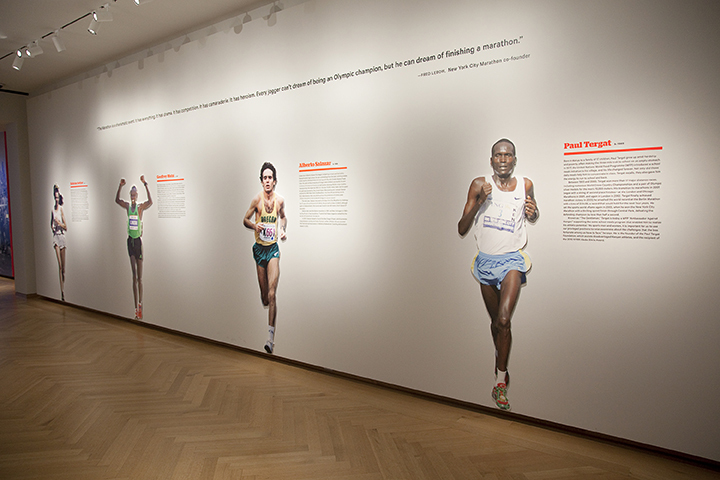 The entry hallway displayed life-size cut-outs of noteable runners. 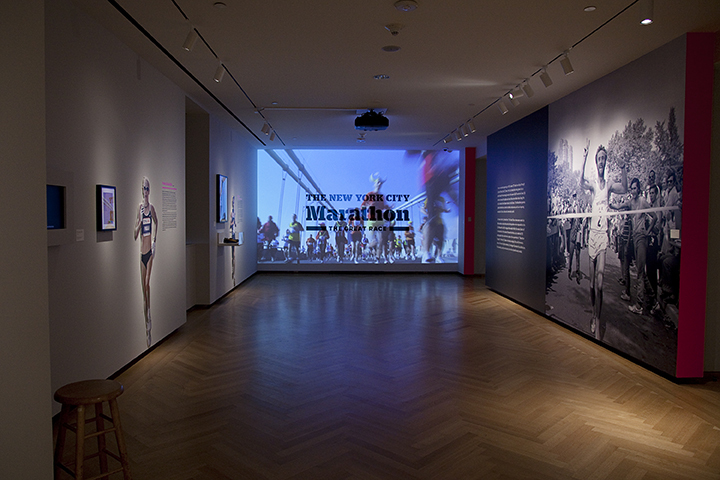 A video showing runners crossing the Verranzanno-Narrows bridge was projected on top of the identity. 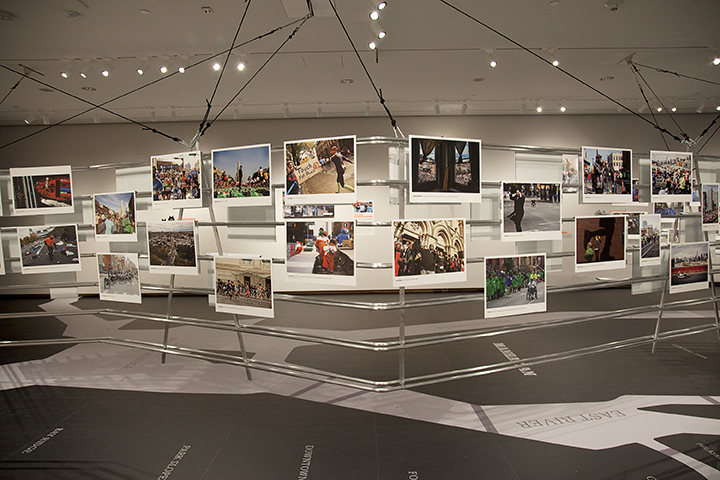 The main gallery space had a huge map of the city on the floor, and a custom-designed structure floated above it in the shape of the race route. We enjoyed collaborating again with Bill Watson and Corey Yurkovitch for this show at the Museum of the City of New York. We learned that 8-year-olds could run the race back in 1977. And do you know who Kathrine Switzer is? You should. 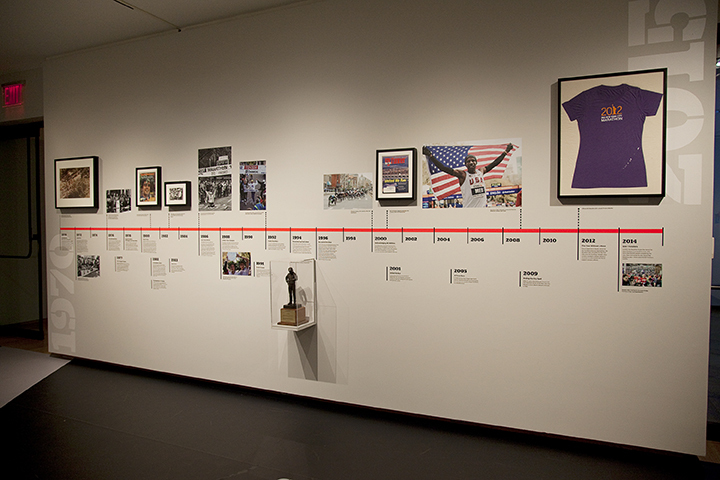 Images courtesy of the Museum of the City of New York.